The door to my Kindergarten classroom in urban, multicultural and economically diverse Burnaby, British Columbia Canada opens on the Tuesday after Labor Day in September. The children in my classroom come from a school community with 24% of families with an annual income of under $30 000. Housing in this community consists of both rental and homeowner properties. The neighborhood consists of two-parent, single parent and blended families with most parents working. Many of the children who attend this school are in daycare or left on their own before and after school. Within this community there is a diverse multicultural population, where the home language for 34% of students is not English. Approximately 26% of the students in this school receive English as a Second Language support. My learners are VERY diverse. In this class, depending on the needs of the year, there might be: children with ADHD, Hard of Hearing, Selective Mutism, Fetal Alcohol Syndrome, severe learning disabilities, multiple ESL learners, Cerebral Palsy, Severe Behavior, Downs Syndrome, or some other assortment of needs. However, I open the door with confidence! I know that I have the skills and support required to do my job in meeting the needs of the diverse learners placed in my care. I have a well thought out and honed philosophical foundation in place that begins with the belief that all learners are strong and capable and that play is the work of the child. With hundreds of hours of professional development under my belt during 18 years of teaching (which is supported by a vast body of valid research), this provides me with a deeper understanding of what constitutes exemplary practice. The Ministry of Education in British Columbia, Canada has endorsed my practice by providing me with a well thought out and well balanced, child centered curriculum that addresses not only Intellectual; but also Social/Emotional, Aesthetic/Artistic, Social Responsibility and Physical Development foci. My School Board has supported me by affirming my core beliefs around play and inclusion. And, there is most certainly money to fund the support I need in such a diverse classroom through the presence of Paraprofessionals and Specialist Teachers. And, in my district, for the most part, teachers are given the gift of autonomy. They are given permission to teach CHILDREN rather than being bound by constraints of rigid curriculum that is lock-step. By October, supports are put in place to build strong community ties: parents are invited to come in to read with children at the beginning of the day, to run cooking programs, to run games centers with children, to run science experiments, to help with field trips, and much more. The school Parent-Teacher Committee hosts community Bar-B-Ques at least twice a year. Opportunities are presented for all parents to become part of our school community through sponsored meetings and events. Parents are an integral part of classroom programming. At least two Potlucks occur during the school year to bring families together and help them forge important relationships that will carry through, for the most part, for these families and children, from Kindergarten to Grade 7. The school community is a stable one. Color, race, creed, or disabilities of any kind are embraced and treated equally in this classroom and school. The model being presented is one of inclusion, and in this class there is an attitude of acceptance for all. Every child belongs, and every child has the right to an inclusive education. Before beginning a conversation about inclusion of special needs students in schools, it is important to start with a definition of what we are talking about. This provides a beginning step that will provide a context. 2) The importance of Systemic Support. 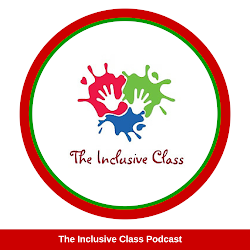 We need to begin with an assumption that all students have the right to be part of regular education classrooms and from this place begin to develop plans around how best to accomplish the goal of inclusion, if this is the desired end result. Belief systems are built through research and conversations about this research. It also requires commitment from key stake holders and a desire to move in new directions. Moving from a segregated to an inclusive learning environment must begin by examining the philosophical underpinnings of the overriding system as well as educators within it. If the belief is that children with extra needs are ‘special’ and don’t belong in the regular classroom, they never will be. It is important to note that there is much research to support the benefits of the inclusion of students with extra needs. Inclusive environments do not happen by accident… They are created through careful planning and preparation. There are many steps to supporting all children that happen both in and out of the classroom, from Kindergarten to Grade 12. I am a Kindergarten teacher and as such am blessed with the opportunity to set up successful beginnings for all families – those with designated extra needs and without. I begin with the tenant that each child has blessings and strengths to bring. Children are strong and capable – not weak or with inherent deficits. All have areas that will require support to move forward. The point I want to make clear here is that I do not put my students with designations such as Autism, Learning Disabilities, ESL, behaviour and the like into a ‘special box’ in my head that will separate them from our classroom learning community. They all belong and it is my job to help each one of them become successful. I must modify my programming to accommodate the child and his/her needs. I have a child-centered approach to teaching and learning. There is curriculum to accomplish, of course – but it is my belief that in order to help children be successful in school I need to assess where they are then come up with a ‘doable’ plan to help that child move from where they are in their learning toward curriculum mastery. For each child this plan looks a bit different – designated special needs or not! The families of the children I teach are the first teachers and are to be valued and included in their children’s education. I do not work in isolation in my classroom. I continuously draw on the expertise of those around me to help when I hit a dead end and don’t know what to do next. I don’t have all the answers and grow stronger through collaboration with school based colleagues, our resource team, district experts, and of course parents too! Inclusive schools and classrooms cannot be built in isolation – systemic supports are crucial to success. In British Columbia our education system supports a full inclusion model of teaching and learning. Without this support I could not do what I do with the children brought to me each day. We have a curriculum that is well rounded; valuing core academic areas as well as physical, social emotional and social responsibility. Our teaching philosophy embraces a celebration of diversity and focuses for the most part *not* on differences but on ways we are alike. Overall our teachers place children at the heart of practice. While curriculum is important and of course drives our teaching, we greet children as they are, assess their needs, and develop plans to move each individual from where s/he is closer to meeting the learning outcomes determined by our provincial Ministry of Education. We look for strengths in each individual and do what we can to build on these strengths. And, there is money behind our model of inclusion – we have special education assistants to work in classrooms with our children who have special or what I like to call “extra” needs, district Speech and Language pathologists, district Hearing Resource teachers, school and district based Learning Resource teachers, and professional development opportunities for teachers to learn about differentiating instruction in our classrooms so that as much as possible we meet our students individual needs. All these things have come about for us through years of discussion, professional development and support from our Ministry. 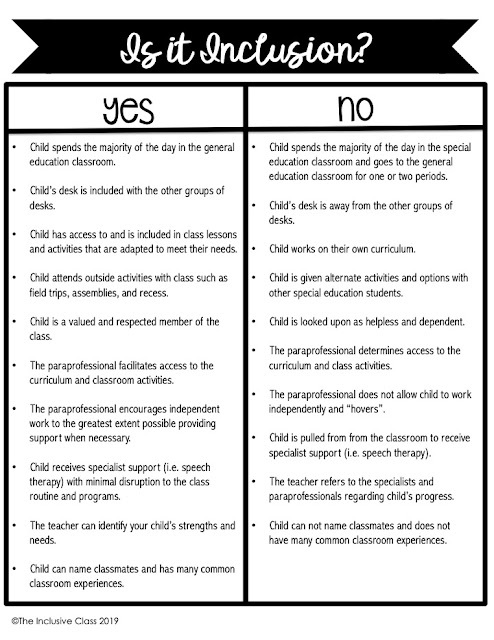 Before a child with known special or as I like to say ‘extra’ needs designations enter school in my district, systems are in place to do everything possible to set up supports to help him/her transition successfully. Our district learning support team has worked out collaborative systems with previous professionals from health systems, preschools, and the like so that (with parent permission) information gathering meetings can take place in June with relevant previous and upcoming stakeholders such as Speech and Language Pathologists, Preschool Teachers, Occupational Therapists, Hearing Specialists, Parents, etc. to share information that will benefit the child and set up successful beginnings when the school year starts in September. These meetings begin with a discussion of the child’s strengths and gifts so we can begin in a place of capability for the child and do what we can to build on these strengths. Then, we move into areas that might present challenges for the child entering school and we find out what has worked for this child in the previous environment to help him/her overcome these challenges. It is an information exchange. For example, if a child has an autism designation and is non-verbal, visual schedules are shared and adapted/modified to suit the Kindergarten environment. If a child has a history of hitting, strategies that have worked in the past are shared and the team brainstorms strategies that might work in the Kindergarten environment to ensure as much success as possible. These are just two examples of how supports are put in place based on what is come before. It is the intent that the classroom teacher receiving this child in September can begin implementing strategies that have worked in the past beginning the first week of school. Then, in October, another meeting takes place with the classroom teacher, school personnel, and the parents to develop an IEP that will be reviewed again in May, before the year ends to revisit established goals set in October and make adjustments as needed so that when that child returns to school in September, there are again supports in place to do everything possible to ensure success as the child transitions to a new teacher and classroom community. It is also worth noting that in June, before the child in question leaves the preschool or home setting where s/he has been living and learning, resource teacher personnel will go in to observe the designated child in a setting comfortable to him/her (again with parent permission and agreement). Conversations ensue and help determine strategies that might help the child transition as successfully as possible to the Kindergarten environment. Parents are a key part of successful inclusion. I look to my parents of children with extra needs to help me understand their children and to help guide my decisions about programming for success. I make myself available whenever possible for consultation as needed. I am a teacher who values all parent input greatly. Having said this, I am also a teacher who believes that children with designations (aka children with ‘special’ or ‘extra’ needs) whenever possible ought not be singled out and viewed as ‘different’. As a result, I invite parents of all children in our classroom community to join us to help with activities such as driving for field trips, running science experiments, cooking activities, bingo games, reading, and etc. I don’t differentiate parents in the same way I don’t differentiate students in my class. Parents are always welcome and are a valued part of our classroom community. British Columbia’s Primary Program is an exemplary resource that did much to support the move toward our inclusive schools, and includes many research foundations to support its positions. The inclusive and child – centered philosophy underpinning this rich K-3 curriculum document is very clearly embedded throughout its pages and would provide interested parties an excellent sample of a living and breathing document, which educators all over our province live by. This document can be found on the BC Ministry of Education website at http://www.bced.gov.bc.ca/primary_program/. Please feel free to visit my blog at: http: /kindergayle.wordpress.com , and also feel free to contact me with questions at kindergayle@shaw.ca or follow me on Twitter @kindergayle. Gayle Hernandez began her teaching career 18 years ago. She has spent 16 of the past years she has taught Kindergarten in inclusive schools. 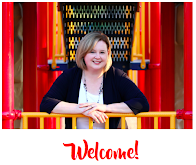 She has presented multiple workshops on the topic of Kindergarten in the Burnaby school district, has facilitated Burnaby’s Kindergarten Network for 10 years, and completed a Masters Degree in Early Childhood Education at the University of British Columbia in 2007. Gayle is passionate about inclusion and building classroom and school communities. Tips to Support Your Child at School! Inclusion in Action: Good Morning!